Since becoming a mother in September 2017, I am even more amazed at how quickly a child changes. I see the largest change in the first three months of life. I love offering 'First Year Sessions' for clients. 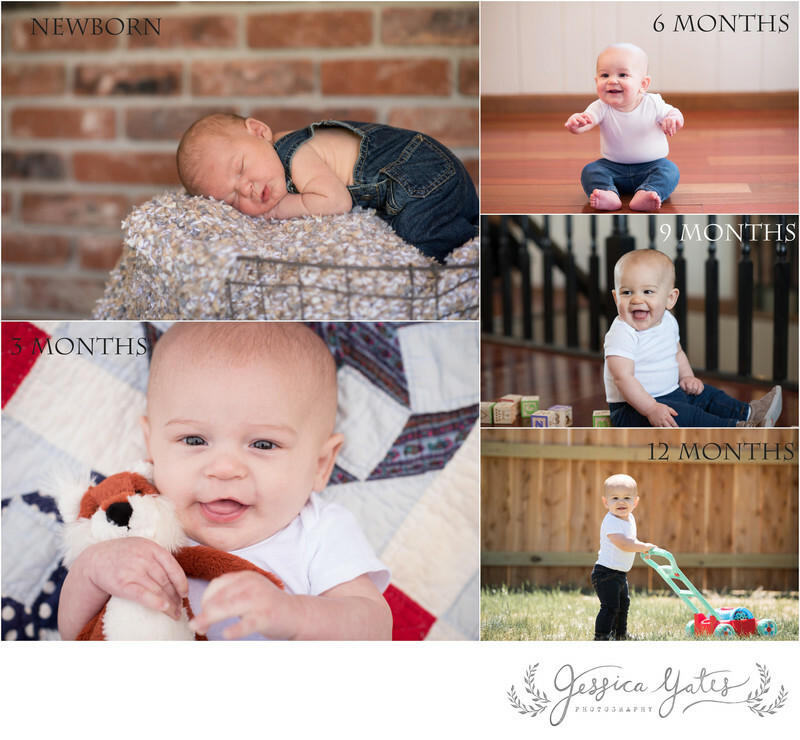 I photograph your family when your child is born, 3 months, 6 months, 9 months, and finally, at one year. 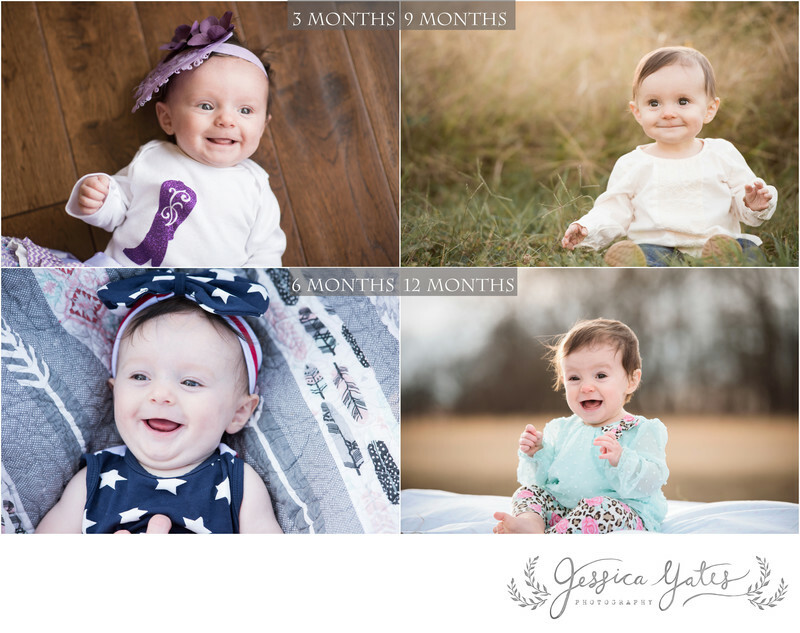 I have spoken to so many moms that realize that they haven't had photos of their kids taken in two years! Time goes so fast and life happens! The beauty of this package is that we schedule and you don't have to worry about it! You know that you will have photos as your child and family grows. 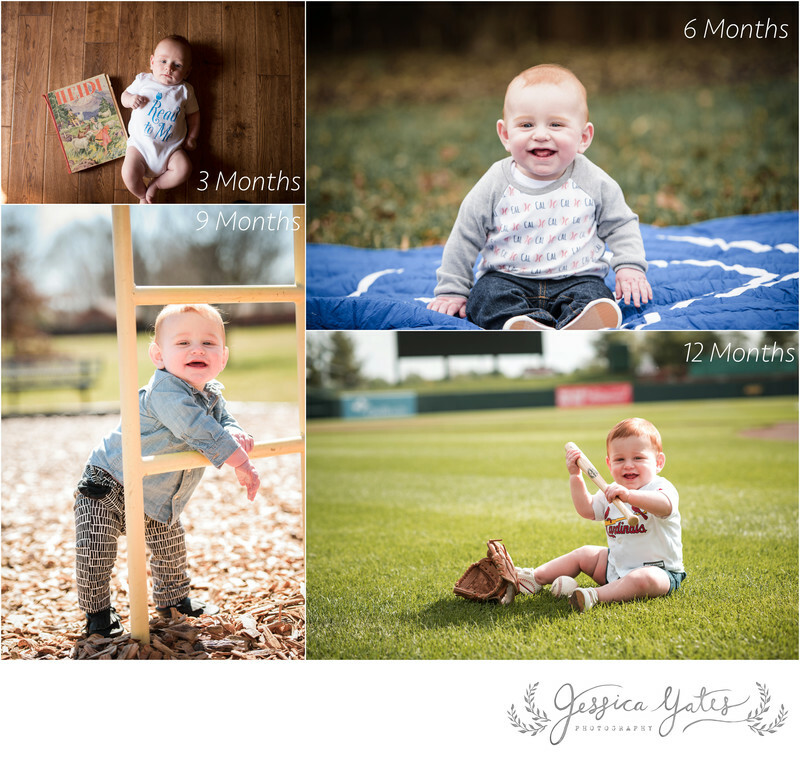 These sessions can take place in your home each time or we can switch it up! If you are intersted in learning more about a 'One Year Session' for your upcoming baby, please get in touch HERE. Giselle- "We absolutely loved working with Jessica! We had her take pictures of our daughter ever few months over the first year. 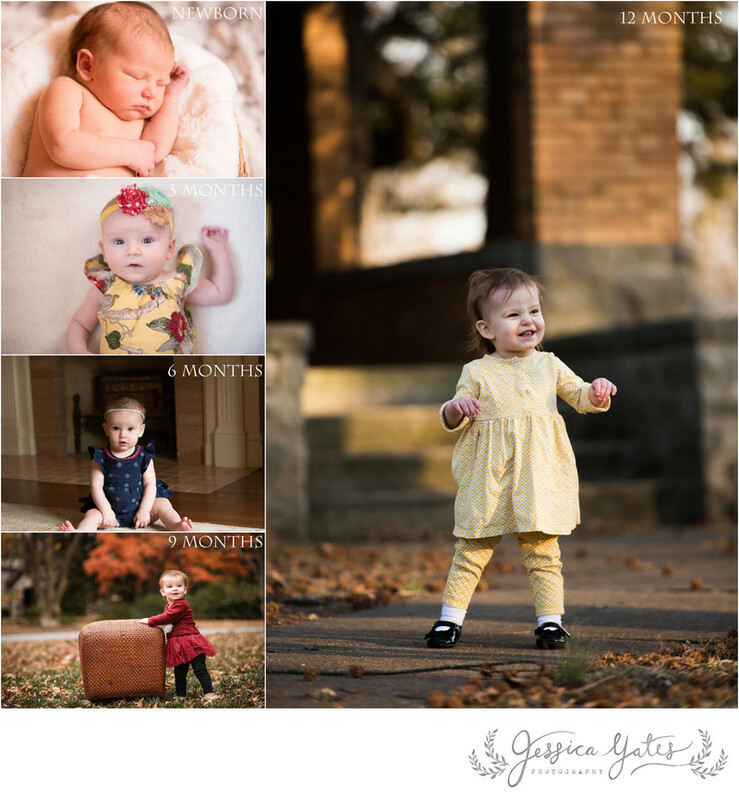 It is amazing to have such a beautiful documentation of our daughter as she grew so quickly. Jessica was incredibly flexible when working with us. She was always willing to accomplish what we wanted in the photo shoot but then would recommend trying something extra or unique. Her suggestions always resulted in our favorite pictures. We are cherish the photos we have from working with her and had a wonderful time working with her. I am sure Jessica will be taking pictures of our family for years to come. We highly recommend her!" We have definitely found our go to photographer!" Andrea- "Jessica is an outstanding photographer! She is easy to work with, takes my crazy ideas and runs with them, and gets my pictures back to me in a timely manner. She has captured some of the most precious moments with our son and we are forever grateful."